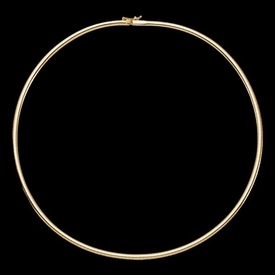 Incredible 14k Gold 3mm Solid Omega. This gorgeous Omega is secured with a box clasp and safety catch. 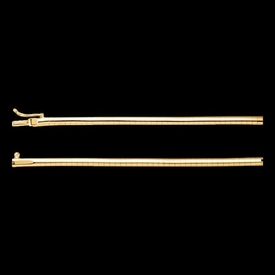 Our price shown is for the 16 inch length weighing a wonderful 13.59grams. Also available in 14k White gold. A jewelry wardrobe staple, wear alone or with one of our gorgeous omega slides.